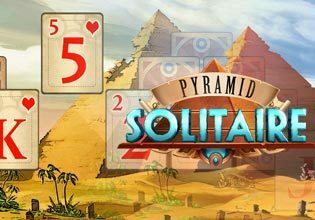 Slip through the sands of time and be transported to a mysterious desert in Pyramid Solitaire! Remove all the cards from the tableau to win the game and shoot for a high score worthy of a Pharaoh! Enjoy the challenge of 6 different layouts, each with its own uniquely optimal strategy for completion!